The city of Istanbul is split into three lands by the Bosphorus Strait and Golden Horn, giving physical presence to an interesting philosophy. 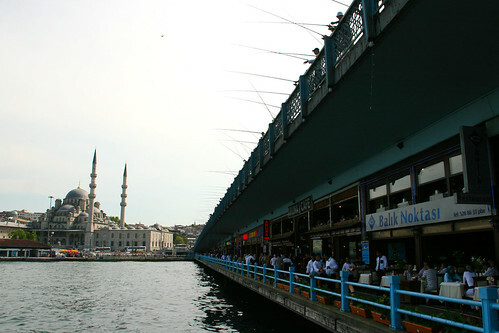 A traveler can stand on a bridge and look across the waters at Sultanahmet (the historic European quarter), the new city Eminönü and Anatolia (The Asian side) to the East. 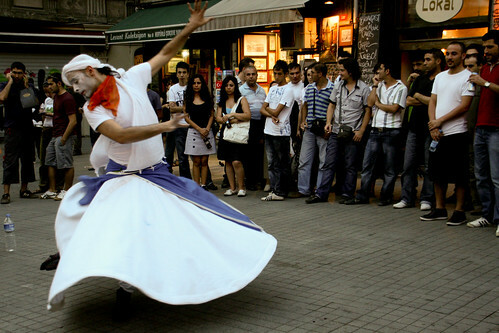 Turkey is literally, culturally and philosophically a bridge between the worlds of the East and West, the modern and the historic; the world’s only metropolis straddling two continents. Today’s Turkey once adjoined the Golden Crescent, the birthplace of man, civilization and history. Istanbul was not only Constantinople, but also Byzantium, serving as the capitol city for the Roman, Byzantine, Latin and Ottoman Empires. 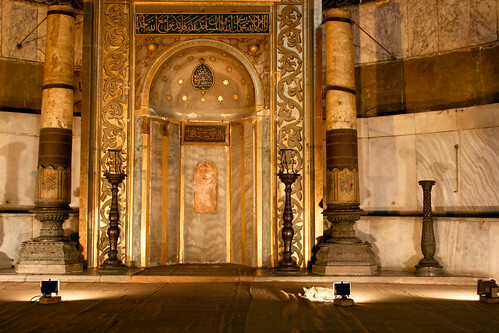 This is where Christianity began and Islam stands strong today. We weren’t prepared for the actuality of this country on the edge. 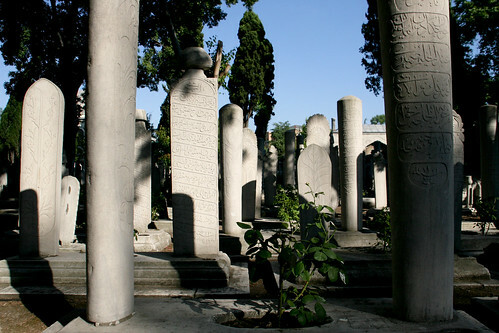 For starters, Istanbul appears to be far ahead of many Western European countries with it’s ease of travel. There is abundant internet, bathrooms are fairly clean and most everyone speaks English with a friendly and helpful demeanor. Our hostel, Agora Guesthouse (11 Euro per person) was brand new — the massive, high-pressure showerheads icing on the cake. The scale of the Sultanahmet district means you’ll never need to go far. From our door, all the major visitor sites were only a 15 minute walk. 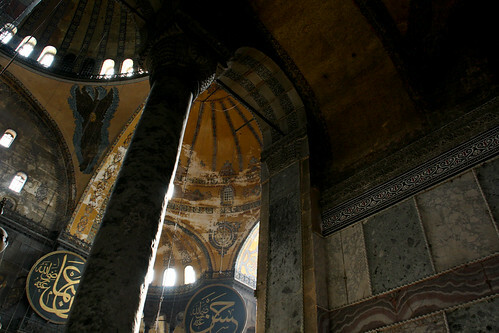 Hagia Sophia — see the kitty? The skyline of Istanbul looks like that of our western metropolises except for one profoundly beautiful difference. 5 times a day, the call to prayer sings out, blanketing the city in echoing song. 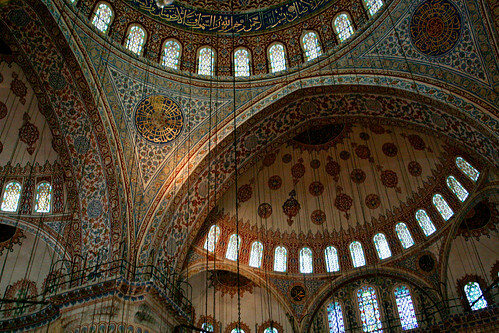 Mosques with both ancient and modern architecture litter the vista, which is particularly stunning at night — each sanctuary spotlighted against the black sky. 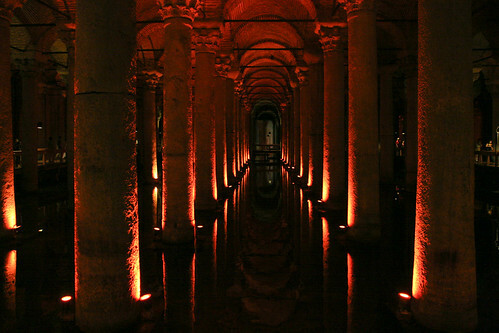 Beneath the city, an inverse architectural wonder occurs. 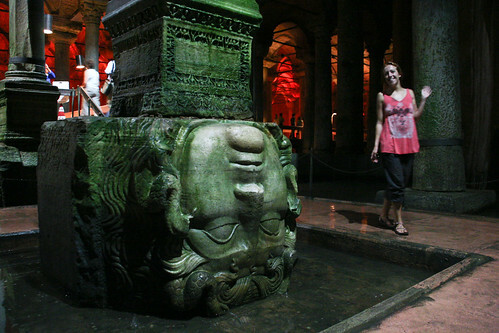 Hundreds of cisterns, empty save for ancient columns and water, echo the religious interiors above. There is a scam aimed specifically at Western tourists: a shoe shiner will walk by and “accidently” drop his brush. You, the helpful tourist, will call out and in an act of “gratitude” the shiner will forcefully attempt to clean your shoe. This will happen often, 3 times in a day, and believe us, the shoeshines aren’t free. Just walk away and the shiner will magically find his dropped brush. We spent the majority of our time in a relatively small area, while the entire city covers 707 square miles. However, what we saw still has the disparity of wealth that 2nd world cities often show. 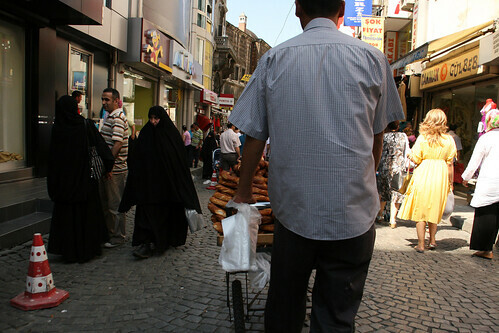 The new side of the city, with the famous Taksim Square and wild nightlife isn’t a cultural destination. 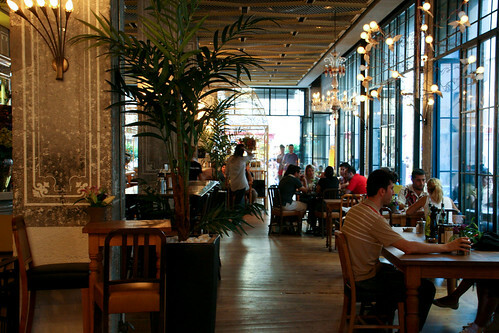 The broad İstiklal Avenue is lined with chain stores and trendy new cafes and people shoulder-to-shoulder, so dense you could almost walk atop the crowd. This area is youthful, but generic — Istanbul has a richer heart across the river. 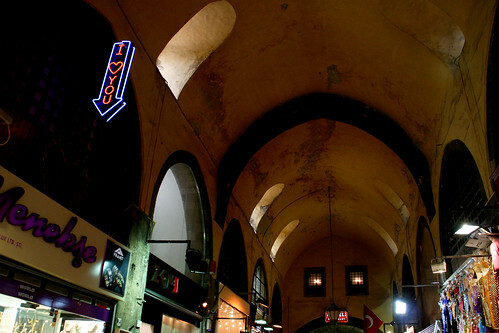 Kapalıçarşı, the covered bazaar, is the largest in the world. 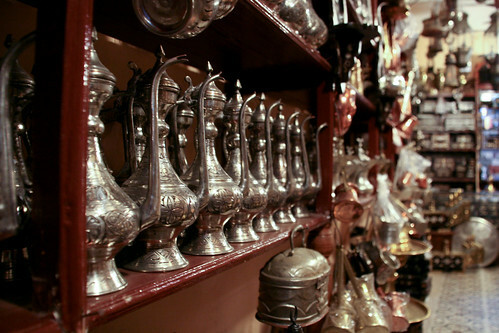 Here you can find goods from all over Turkey, as well as some of the ubiquitous tourist tchotchkes which are undoubtedly made in China. 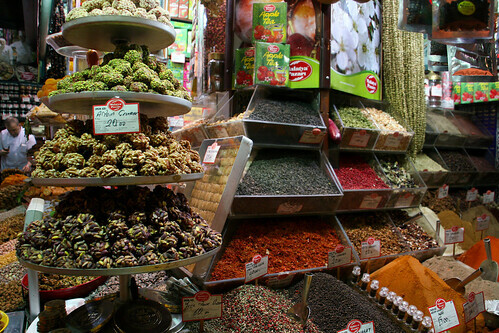 More to our taste was the Egyptian Spice Market, a much smaller bazaar vending foods and, you guessed it, colorful spices. 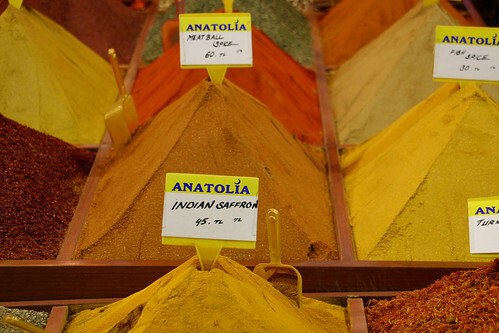 This was our entrance to Turkey, an emblematic city to that captured our senses. 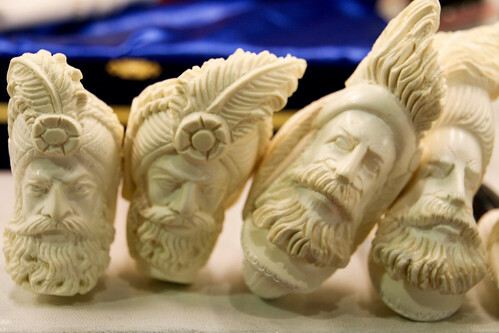 The rich lives of over 12 million people: living, breathing and bartering. 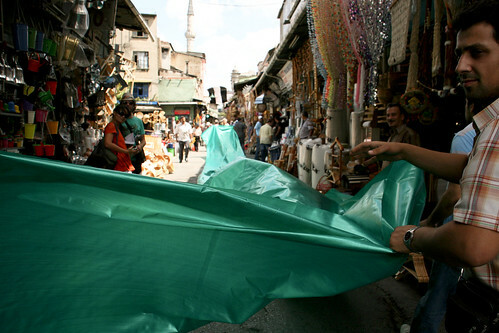 The smells of tobacco hookahs and spices, the elegant and exotic tastes of a rich cuisine, the cries of vendors and calls to prayer filling our ears, the textures of cloth, concrete and steel that built the sights of wonder in this vast city. 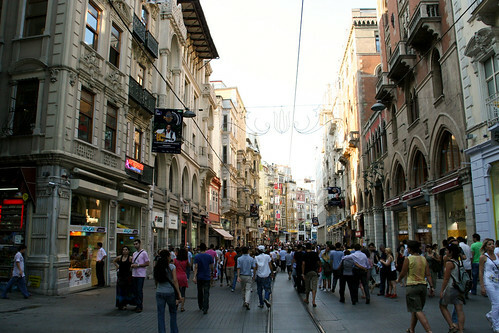 I think you said it best and captured it in the pictures – Istanbul is a very live and vibrant city at the crossroads. My favorite city in the world. Great Post – my wife and I are on a trip of our own. Just started in Dublin and have 11 months to go. 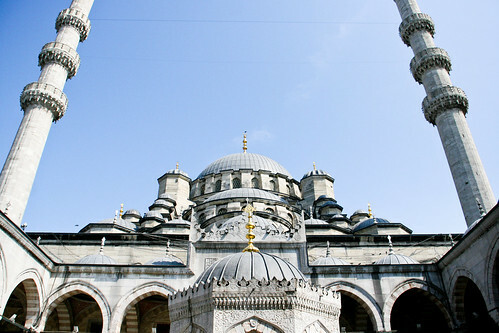 We will be leaving on Wednesday for Istanbul…great great post! 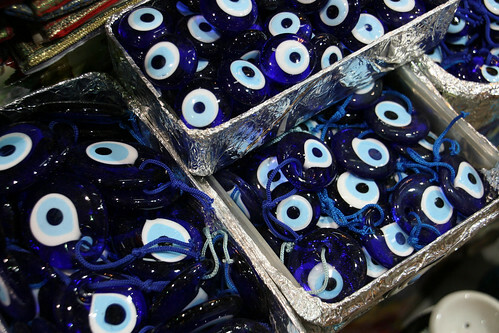 I have one of those “evil eye” talismans – exactly the same as the one in your photo. It was given to us by the owner of the pension we stayed at in Mykonos. 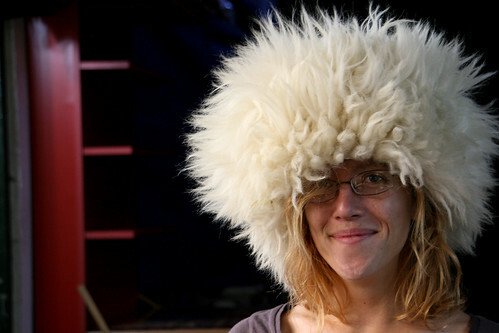 No doubt, these things may be mass-produced in China and shipped all over the Mediterranean! 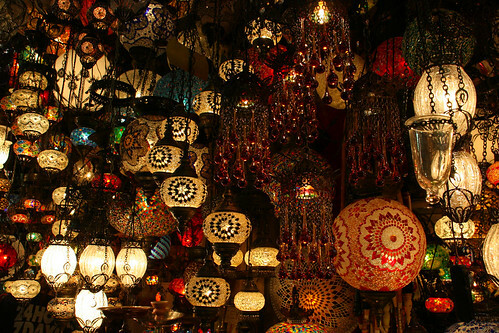 Those lanterns are gorgeous, though! Can’t get enough of them! Excellent post on Turkey! Enjoyed it tremendously. Now, I’m just green with envy as I’m stuck here in Toronto.